This past weekend saw Kidrobot re-release the iconic Munny in new packaging which gives it a timely spruce up as we head into the backend of 2018. 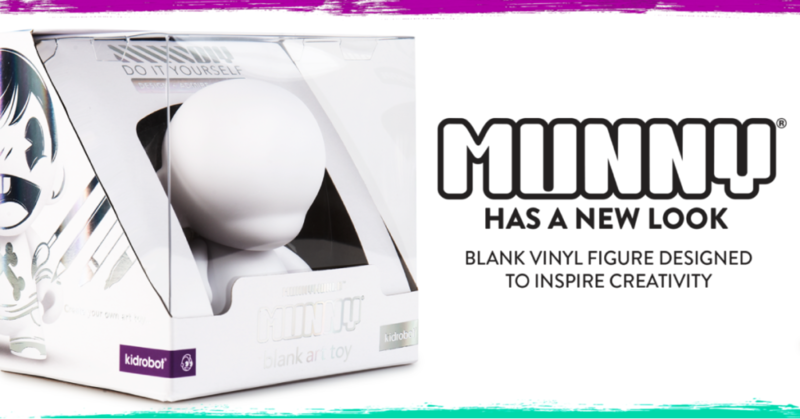 Now in a clear metallic box design, the 3D blank art toy feels & looks with the Munny front & centre like a premium product to us. We like! This new packaging is available for both the 4inch Munny, as well as the 7inch Munny. You can snap these up from the Kidrobot store HERE. Priced at $9.99 for the 4inch, and $19.99 for the 7inch version of the Munny. Why not grab one and have a crack at painting it, slinging stickers on it or simply having it blank in your collection.